What would you do if your parent became incapacitated and/or was unable to make decisions on their own? We don’t like to think about the time our parents will no longer be with us and we will need to handle their affairs. However, as people continue to live longer the need to first help an aging parent is a more likely scenario. Here is the hard part and one which most of us put off: Having a frank discussion about the future with your parent. Talking about it may sound callous or uncaring, but preparing for the eventuality is actually quite the opposite. If you explain to them that they would be helping you they’d feel they were still in control and be more amenable to sharing. They should realize working with you and getting all their legal information together now will make it easier when the time comes when they need your help. This advice I am giving is through hindsight. I did not sit down with my mother and discuss the possibility of the need for me to make decisions on her behalf. Once Mom began having memory problems I gradually began making many decisions for her. Would it have been easier if we had discussed it before-hand? I don’t know. She still might have resisted but been in a more reasonable state of mind. I encountered a few problems trying to help my mother during her dementia, which I will share, then I will give my recommendations based on what I learned along the way. What I did do that made the transition less complicated was that I already had Power of Attorney. A few years before, after my father died, I took Mom to her attorney and she had a new will written and a trust created which named me as a trustee and gave me POA. 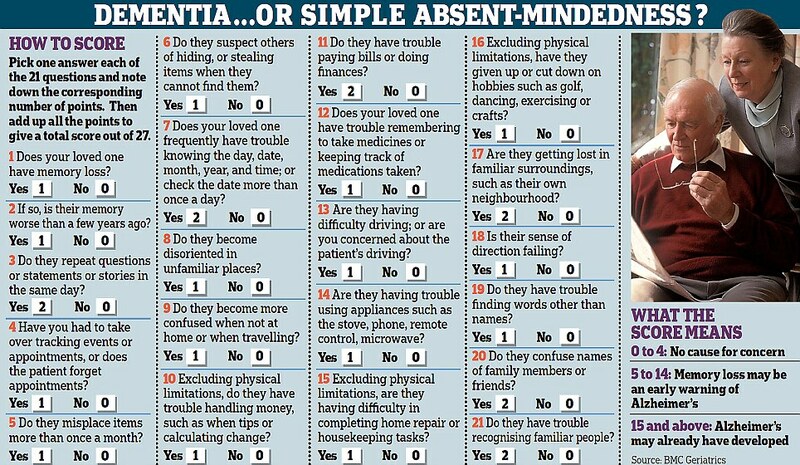 A major symptom of dementia is difficulty working with numbers. So it became for my mother. The first task I had to undertake was paying her bills. It did require some convincing, but she eventually realized she needed help. What did not go as smoothly was when tried to have my mother’s funds consolidated and moved to one bank. It made more sense to combine her savings and there was no need for two checking accounts. At the bank we were shown to the desk of a customer service representative where I explained that we wanted to close my mother’s account, whereupon the representative looked at my mother and asked “Is this what you want to do?” Even though I had already explained the justification to her and thought she understood, Mom answered, “No.” It took several times of my trying to reason with my mother and her saying, “No.” to ultimately convince her. I can understand the bank was trying to protect her, not knowing if I were trying to coerce her into giving me her money. I also encountered this privacy problem many times over the phone talking to different agencies; they always wanted to obtain permission from Mom first and it was hard for them to understand it would be confusing for her. One of the more important documents I regret not having is the directive for access to her health information. When my mother was given several tests after I had taken her to the emergency room, I went to the hospital the next day to find out the results. I was denied. What I needed was a paper signed by my mother giving me permission to see her health information and/or speak with her doctors. Another option I could have used was to be appointed to be her health proxy which is a more formal authorization and requires notarization. At this time, my mother was often defensive and contrary, and the chance of getting her to sign such a paper were slim. Another advantage I had in overseeing my mother’s legal effects is that she was very organized, as was my father, who left written notes for my mother, so all of their legal documents and papers were easily accessible. I can imagine how difficult it could be if a parent was both disorganized and confused. A list of all bank accounts Tip: Have your name put on the account so it will be an easy transition. If possible, combine checking and/or savings so they’re all at one bank. Utility bills or other bills that are paid on a regular basis Tip: When you take responsibility for payment, call and have them put on auto-pay. List of all medications Tip: This is extremely important because of the affect they may have on your parent; some drugs cause serious side effects on the elderly. This entry was posted in Dementia and tagged Aging, Aging parents, alzheimer's, caregiving, Dementia, Memory loss, mental-health, Parenting an Aging Parent, parenting the parent on February 18, 2019 by kathybjork. A major discovery has been made in the research of Alzheimer’s disease, as reported in the July 2018 edition of JAMA Neurology. Researchers at Yale University Alzheimer’s Research center have been able to measure the density of neural synapses in living patients. Up until the present, measurement of synaptic density was only possible in brains of people after they died. 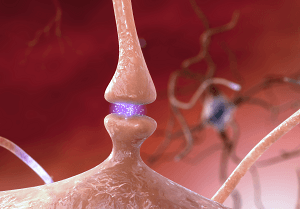 Levels of a certain protein, SV2A, found in the transmission of neurotransmitter chemicals from one neuron to another were measured with position emission tomography (PET). The participants with MCI or mild Alzheimer’s disease who were compared to cognitively unimpaired individuals were found to have significantly less SV2A in the neural synapses in the hippocampus indicating a decrease in synaptic binding. The hippocampus is the part of the brain that forms memories, and it has been established that there is a relationship to damage in that area and Alzheimer’s disease. The PET scan results also correlated with scores on episodic (short term) memory tests as well as those for Alzheimer’s. Other brain imaging tests, though protein was measured, did not offer the correlation with tests for cognition, which is fundamental to the study. This important breakthrough of a reliable test for synaptic density in living people can provide a better measure of disease progression and help in evaluation of treatment with drugs in clinical trials. Reference: Chen MK, et al. Assessing synaptic density in Alzheimer disease with synaptic vesicle glycoprotein 2A positron emission tomographic imaging. JAMA Neurology 2018 July 16. If that doesn’t make you want to get up and move, this next study will! Do you know anyone hard of hearing who doesn’t always wear their hearing aids? They may not want to bother or want to deliberately tune people out. Let them know: Loss of hearing is a significant risk factor for dementia. This entry was posted in Dementia, Family and tagged Aging, Aging parents, Alzheimer research, alzheimer's, assisted living, caregiving, Dementia, eldercare, Memory loss, mental-health on September 1, 2018 by kathybjork. How do you prevent dementia or Alzheimer’s? Let me tell you, first of all, there is no magic pill. Doctors and scientists are working very hard to find a cure or identify factors that lead to the condition, but there is no miracle drug or procedure that will stop its progression–so far. The ‘anti-aging’ tag on a label is a well-used ploy to sell, as are a plethora of products that purport to increase your memory or slow down the aging process. Equally persistent are ads for products with formulas fabricated to increase your mental acuity. Most are based on incidental research and contain plant byproducts or vitamins, some of which are truly essential to good health, but not the panacea they claim. It is always a good idea, though, to check the ingredients, especially those that refer to the brain. While there is no guarantee that you will develop dementia, there are steps you can take that may decrease your chances. It is not surprising to recognize that the prescription for protecting your brain is the same as maintaining a healthy body. The Mediterranean diet based on a high intake of fruits and vegetables, whole grains and fats from fish, nuts and olive and vegetable oils has been found to slow cognitive decline. • In longitudinal studies those who followed the Mediterranean diet performed better on cognitive tests and than the control group, and were able to cut their risk for Alzheimer’s disease by half. • A study commissioned by the National Institute on aging found that people who consumed fish once or more per week had a 60% lower risk of developing Alzheimer’s disease as compared to those who did not. • High intake of fruits and vegetables, rich in free radical-fighting antioxidants, help prevent oxidative damage to the brain. Inflammation and damage from these free radicals most likely play a part in brain changes usually found in those with Alzheimer’s disease. • Use of olive oil, and eating fish rich in monounsaturated fats and omega-3, help quell inflammation throughout the body, including the brain. • Yes, it’s true, dark chocolate is good for your brain. In a study cited in the May 2016 edition of Appetite, participants were given a battery of tests that assessed cognitive function and then compared the scores with the amount of chocolate they typically ate weekly. The results showed that the cognitive scores rose with the amount of chocolate consumed. Physical activity is needed for an over-all healthy body, but it is also essential to keep an adequate amount of blood flowing to the brain. • Regular exercise promotes better mental functioning by improving cerebral blood flow which aids in the prevention of cognitive decline. It also has the added benefit of releasing endorphins which make you feel better mentally. • 75 minutes of intense physical activity or 150 minutes of moderate physical activity a week is recommended. This does not always mean you must go to the gym. Participating in a sport or walking several times a week is as effective. • Not surprisingly, a high BMI (body weight index) increases your chance to develop dementia, especially vascular dementia or Alzheimer’s. Research on people in midlife, shows that for someone with a BMI between 25 and 29.9 the chance for dementia increases twofold, and for the obese person (BMI greater than 30) chances for dementia are four times greater. This could be a more powerful motivator than losing weight for a slimmer profile! Getting a good night’s rest is very important. • Doctors recommend six to seven hours of sleep a night for good mental functioning. This can be a real concern as we grow older and our sleep patterns change. It is not unusual for seniors to have problems getting to sleep or waking often at night. • Certain studies have shown that participants who reported less that six hours of sleep a night, on average, and described their sleep as restless, had a greater buildup of plaque in the body than those who had a longer, restful sleep. • Sleep is when our brain consolidates and firms up new information. During this deep sleep, slow-brain-wave period, short term memories are transported from the hippocampus to the prefrontal cortex for long term storage. This probably explains why staying up most of the night to cram for a final wasn’t a good idea! • There are many effective, natural ways to improve your sleep; however, precautions must be taken with the use of sleeping pills. The American Geriatrics Society (AGS) recommends against the use of sedatives such as diazepam (Valium), lorazepam (Ativan), alprazolam (Xanax) for the treatment of insomnia in older adults because of the risk of interruption of the sleep cycle and risk of cognitive impairment. Short term memory loss has also been associated with antihistamines (Benadryl) found in some sleep aides such as Tylenol PM. Stress takes a heavy toll on the body. • High levels of stress cause the release of cortisol. Research has found when cortisol levels rise, cognitive performance declines. It is thought that chronic stress leads to malfunctions in the brain pathway that regulates cortisol levels and in turn affects brain cells. • Studies conducted on treatment of high blood pressure appeared to offer a side benefit. The Journal of Hypertension, June 2013, reported that medication for high blood pressure not only reduces a risk for stroke or heart attack, but may also help to prevent dementia, especially vascular dementia. • There are many ways to reduce stress, among them exercise and meditation, but ultimately it needs to be something tailored to the individual. • Smoking and excessive consumption of alcohol to relieve stress would, obviously, not be wise choices. An alcoholic drink a day, especially red wine, however, not only may help the heart but increase blood flow to the brain and prevent small strokes. Keeping mentally active and socially engaged supports mental health and ultimately your brain cells. • Reading, playing board games, puzzles, dancing, playing a musical instrument or pursuing a hobby are ways to keep active which have been shown to lessen the chance for dementia. A five-year study of seniors 75 or older who kept active and mentally stimulated were found to be less likely to develop dementia compared to a control group. • A Mayo Clinic study looked at inactivity by comparing the time spent watching television. They found that participants who spent an average of more than seven hours of TV a day were more likely to suffer memory loss than those who watched less. • There are commercial products on the market, principally computer programs that are promoted to stimulate mental acuity; research has shown, so far no notable differences between these programs and self selected activities such as games, puzzles, etc. • Talking with and interacting with people is also important for good mental health. It keeps the brain stimulated and your memory stronger. Another significant way you can help yourself is to not stress about what may or may not happen in the future and keep a positive attitude. 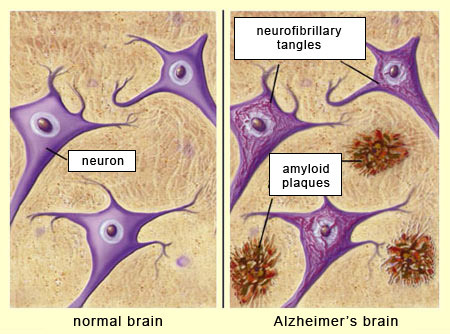 References: John Hopkins White Papers Memory: Your annual guide to alzheimer’s disease and dementia, Peter Rabins,M.D. M.P.H. and Scientific American Memory:Your annual guide to prevention, diagnosis and treatment and treatment, Peter V. Rabins, M.D. This entry was posted in Dementia and tagged Aging, Aging parents, alzheimer's, caregiving, Dementia, eldercare, Memory loss, mental-health on April 4, 2018 by kathybjork.